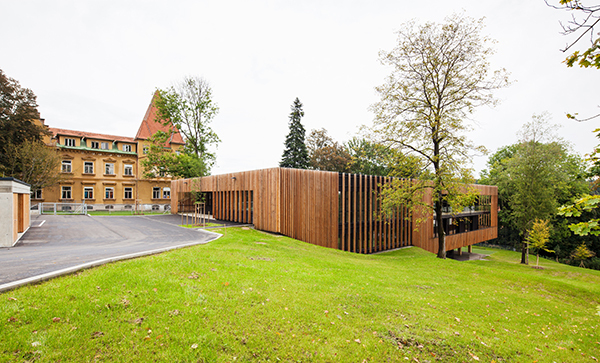 The City of Graz has created future-oriented and sustainable architecture with the new building of the Maria Grün Primary School in the green suburbs. 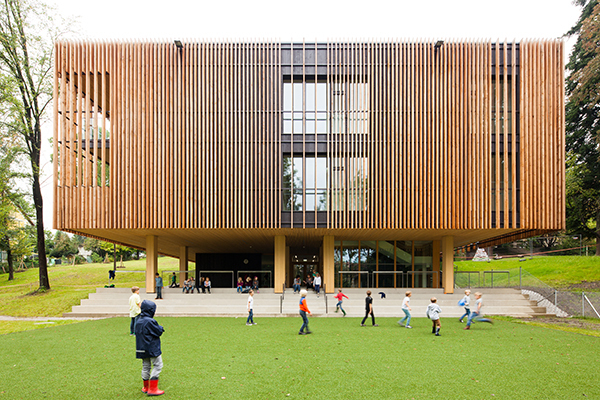 In addition to compliance with passive house standards with the use of domestic wood species, new forms of teaching and learning are enabled and promoted. The built space consciously takes over the task of a third teacher. The City of Graz has been able to reap the rewards of steady growth for quite some time. Thus, as the scientific and educational centre of Styria, it has to meet a growing demand for adequate school buildings. That is why targeted measures for the next generation have already been put in place. In addition to future-oriented learning and teaching concepts, this primarily involves the energy-efficient implementation of new and reconstructed buildings.